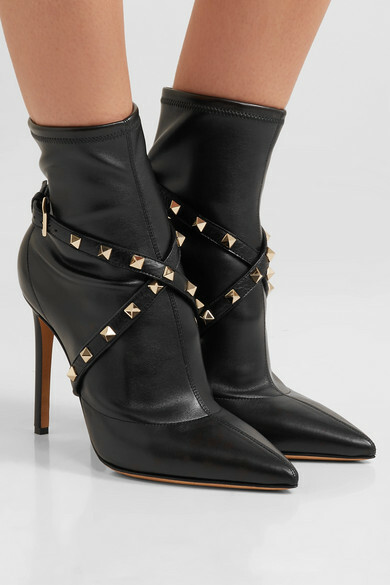 Valentino Garavani's iconic 'Rockstuds' are the perfect embellishments for these 'Studwrap' boots - they trace the detachable straps that criss-cross at the front, really enhancing the rock 'n' roll feel. 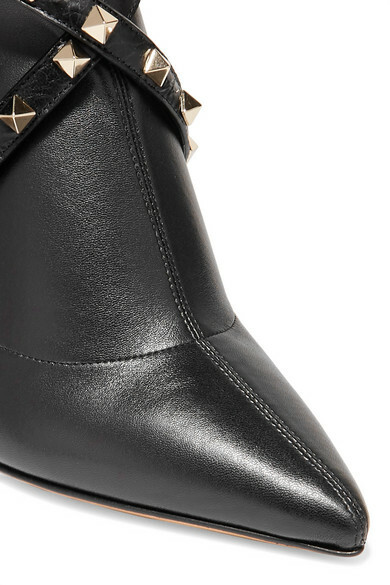 Crafted in Italy from black leather, they have an exaggerated point-toe and a second-skin fit. 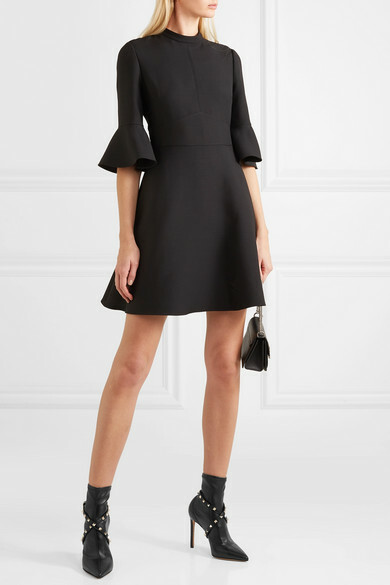 Team yours with a mini dress to show off the razor-sharp silhouette. Shown here with: Givenchy Shoulder bag, Jennifer Fisher Earrings.